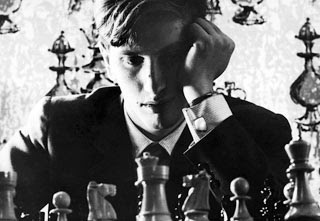 PEOPLE were always coming to get Bobby Fischer. And he was ready for them. In a locked suitcase he kept bottles and bottles of vitamin pills and herbal potions and a large orange-juicer, in case they tried to put toxins in his food. His most precious memorabilia—match notebooks, photo albums, letters from President Nixon—were kept in a filing cabinet in a safe behind two combination locks in a ten-by-ten storage room in Pasadena, California. In the end, as he railed to radio talk-show hosts in Hungary and the Philippines, even all this couldn’t keep him safe from Russians, or Jews, or “CIA rats who work for the Jews”. But he had tried. The best obituaries in the business.